Travel with a small group of up to 7-passengers and discover the beauty and charm of the Cotswold hamlets, towns and villages. 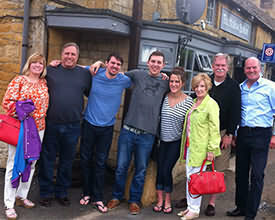 The perfect solution for small groups, couples and families - Day Trip in the Cotswolds. 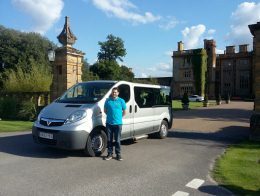 Small Luxury Group Tours for up to 7 Passengers - the ideal way to see the northern Cotswold towns and villages. Travel with a small group in one of our new, air-conditioned Mercedes V-Class vehicles, which seat up to 7-passengers. Whilst on a 6-hour tour of the northern Cotswold region, you’ll discover the charm and beauty of the honey-coloured hamlets, towns and villages as we wind our way through the Cotswold lanes. There will also be time to stop for short walks, giving you the freedom to explore places along the way. Plan your perfect day tour for your trip to the Cotswolds, by catching a train from London or other places in the UK where we’ll be awaiting your arrival to start your tour at Moreton-in-Marsh (MIM) station. As our tours are for smaller groups, you’ll be enlightened with an informative commentary as you pass through the various towns and villages and will be able to ask questions throughout the day. 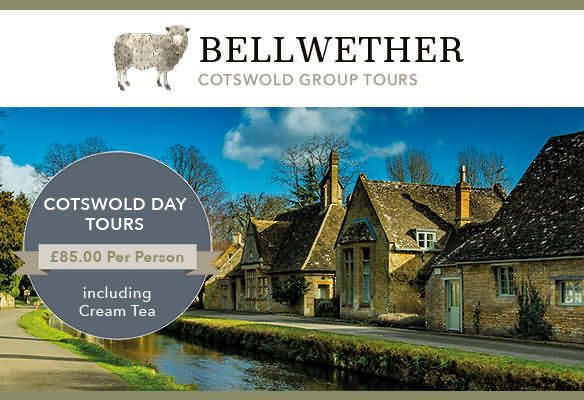 Our tours of the Cotswolds also include a stop off at a quintessential Cotswold tea room for a cream tea (included in the price of your tour!). Starting in Moreton-in-Marsh, we first drive to Chipping Campden, touring through Batsford, Blockley and Broad Campden en-route. Afterwards, we’ll then head to Broadway Tower, before visiting the delightful village ofSnowshill. Next is the village of Broadway, which is frequently referred to as ‘The Jewel of the Cotswolds’. You’ll then stop to enjoy a cream tea (tea and scones!) in a beautiful Cotswold tea room, before making our way to Stanton and Stanway, then onto the Slaughters and Bourton-on-the-Water (‘little Venice’). Before heading back to Moreton-in-Marsh, your final stop will be a visit to the Cotswold market town of Stow-on-the-Wold. on our small group tour of the Cotswolds!